Let’s mark hot cereal down in the column of “Things I Didn’t Understand Until I Was An Adult.” I was by no means a picky eater when I was a kid, but there were definitely some things that my parents ate where I was like “what the heck is that and why are you ingesting it?” My mom’s occasional bowl of hot cereal was puzzling to me as I slurped the cereal with cartoon characters on the box. It’s possible that I’m old now. I spent about 40% of a recent vacation playing shuffleboard while drinking coffee. And surprise, surprise: it turns out that hot cereal is pretty awesome. When it comes to grains, my grocery store search begins and ends with Bob’s Red Mill. If whatever product I’m looking for has a Bob’s Red Mill option available, I will choose it every single time, because I know their products are of the highest quality. Their line of hot cereals is no different. 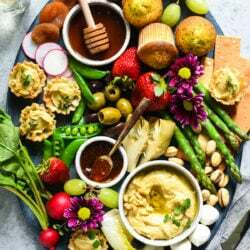 With options like Organic Creamy Buckwheat Hot Cereal, Gluten Free 8 Grain Hot Cereal and Organic High Fiber Hot Cereal, there’s an option for everybody. For this lemon-poppyseed muffin-inspired breakfast, I chose the nutrient-packed 10 Grain Hot Cereal, which is a combination of wheat, corn, rye, triticale, oats, soy beans, millet, barley, brown rice, oat bran and flaxseed. I followed the package instructions (it takes less than 10 minutes) but added some extra flavors that I like by stirring in the juice and zest of a Meyer lemon and some poppyseeds. I finished my bowl of Meyer Lemon & Poppyseed Hot Cereal with some fresh blueberries for a serving of fruit. In medium saucepot, heat milk, water and salt to boiling over medium-high heat. Reduce heat to lowest setting; stir in cereal. Cover and cook 8 minutes; stirring occasionally. Watch pot carefully to make sure it does not boil over. 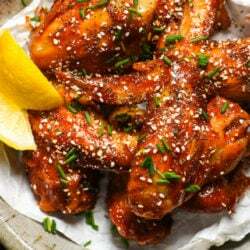 Remove pot from heat; stir in lemon zest and juice, honey and poppyseeds. Divide cereal between serving bowls; divide blueberries between bowls. Garnish with additional poppyseeds and serve with additional honey for added sweetness, if desired. 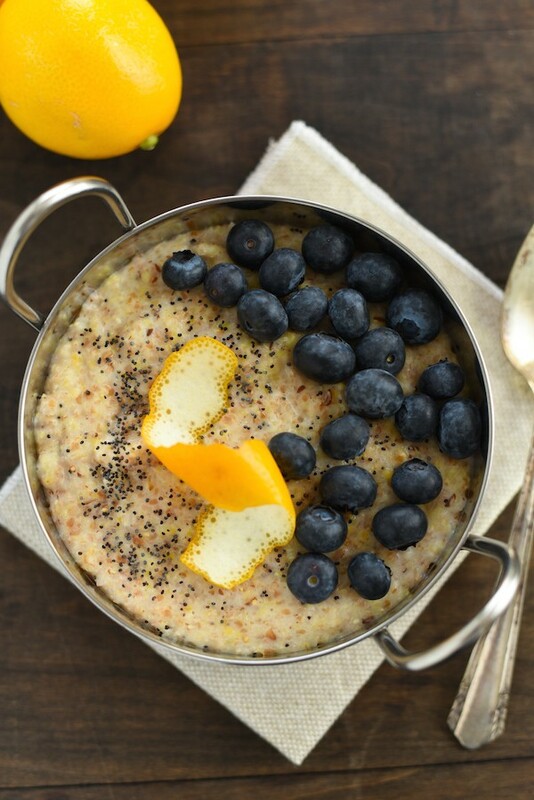 Lemon oatmeal sounds amazing! I love meyer lemons, and with poppy seeds it’s perfect! I wasn’t sure how lemon oatmeal would be honestly, but once I tested it, I was sold! Thanks Dorothy! 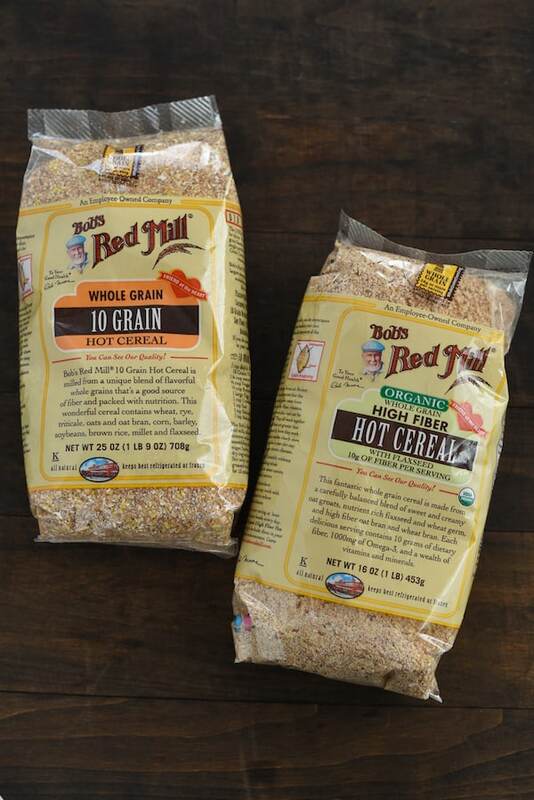 We love Bob’s 10 Grain Hot Cereal. It’s so good, and easy to make, like you said. 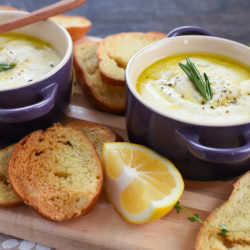 I need to find some meyer lemons now so I can make this tasty recipe! So good and so easy is the double whammy of awesomeness in my book. Thanks, Alida! I know, the mornings around here have just been unbearably cold, too. It’s a hot cereal time of year, for sure. Bob really is the best. He’s my #1 when it comes to all things grain related. Love this hot cereal. Pinned. We are old, but hey, it has its benefits! Naps, hot cereal, fiber…what’s not to love? Love that this BRM blend includes so many different grains too! Between naps and cereal, being old sounds a lot like being a baby. hahaa! I love this combination, and for breakfast! Perfect! We love Bob’s! I hear you on the hot cereal growing up! Now it’s all I pretty much eat for breakfast haha I usually go for Bob’s steel or quick oats, but the hot cereal has me intrigued. I’ll have to pick that up next time I run out. If you like steel cut oats, I think you’ll like this hot cereal! It has a similar texture, but a little different flavor, thanks to all those grains! I need to add Bob’s Red Mill to my grocery list!! I love lemon poppyseed everything — this is such a genius take on it! Thanks Rachel! I’m right there with you, I can’t get enough of anything lemon poppyseed! I’m so there with you, although only part of the way. I had a thing for cream of wheat growing up but that was the only hot cereal I would eat. I hated oatmeal but recently decided to give it a try again but real oatmeal. I love adult tastebuds change! Now I’m going to have to give this a try with the Bob’s Red Mill sitting in my pantry! 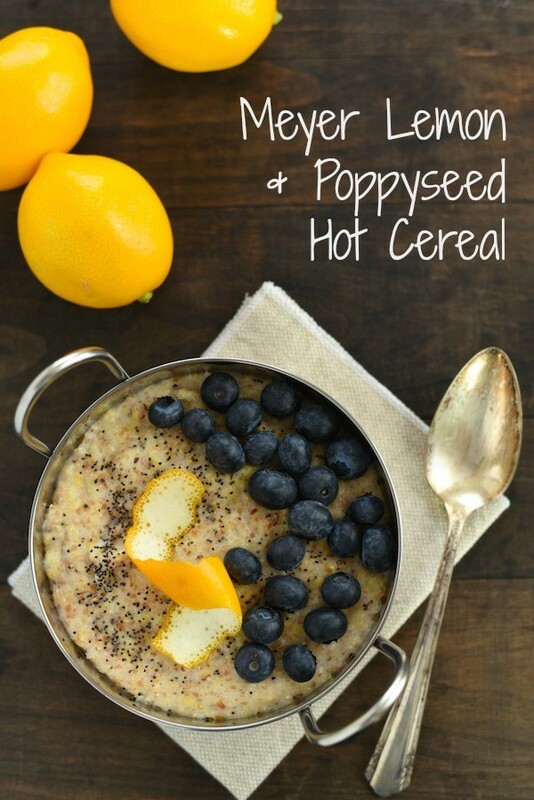 Lemon, popyseed, and blueberries are a perfect combo, especially in a warm bowl of comfort! I agree, Brianne. These 3 flavors are one of my very favorite combinations! Haha YES, Gina! Also – when people used to say my mom and I looked alike, I was like “Nooooo whhhhhyyyyy?” But now I see photos of the two and us, and yep, I can totally see it.